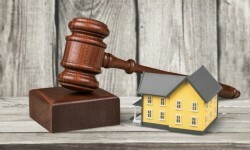 The Karnataka Real Estate Regulatory Authority (RERA) that was formed more than two weeks ago has gone live with the state government launching the portal for registration. 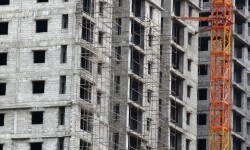 Meanwhile, the Maharashtra government has made it clear that no extension will be given to developers or real estate agents for registering with the MahaRERA website. The last date of registration is July 31. The government has withdrawn from the Rajya Sabha a Bill to amend the Architects Act, 1972, which provides for registration of architects. The Bill was first introduced in the Rajya Sabha by the previous government in 2010. The Act empowers the government to set up a council of architecture which may prescribe the minimum standards of architectural education in India and maintain the register of architects. The National Highways Authority of India (NHAI) has decided to build a trumpet junction between the NH-8 and the Dwarka expressway, anticipating heavy flow of traffic between Delhi and Gurgaon when the new speedway becomes operational. This junction will be integrated with a cloverleaf coming up on the other side of the NH-8, connecting it with the Southern Peripheral Road. The Securities and Exchange Board of India (Sebi) has introduced an online registration system for real estate investment trust (REITs) and infrastructure investment trusts (InvITs). The new system would allow REITs and InvITs to complete registration filings with the market watchdog in a much faster and cost-effective manner.